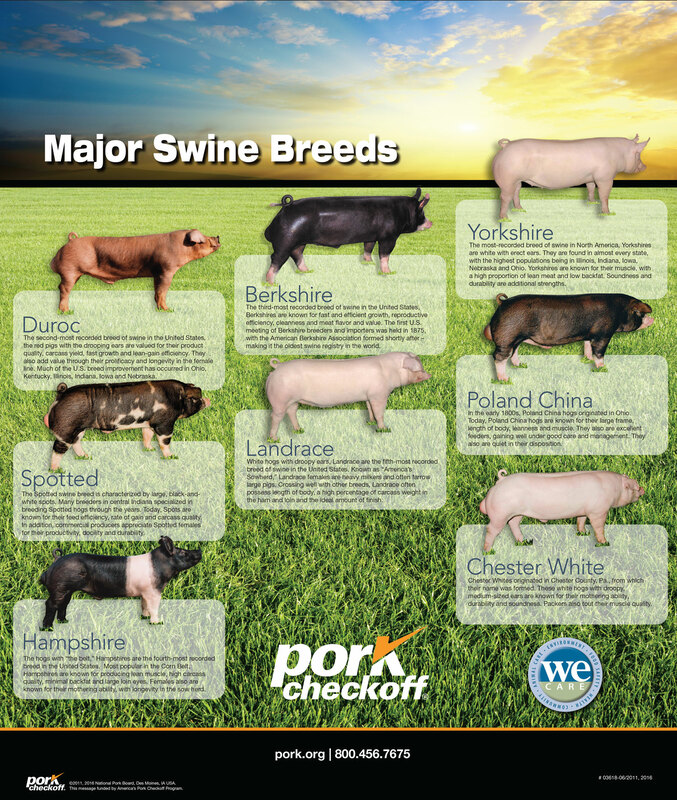 The third-most recorded breed of swine in the United States, Berkshires are known for fast and efficient growth, reproductive efficiency, cleanness and meat flavor and value. 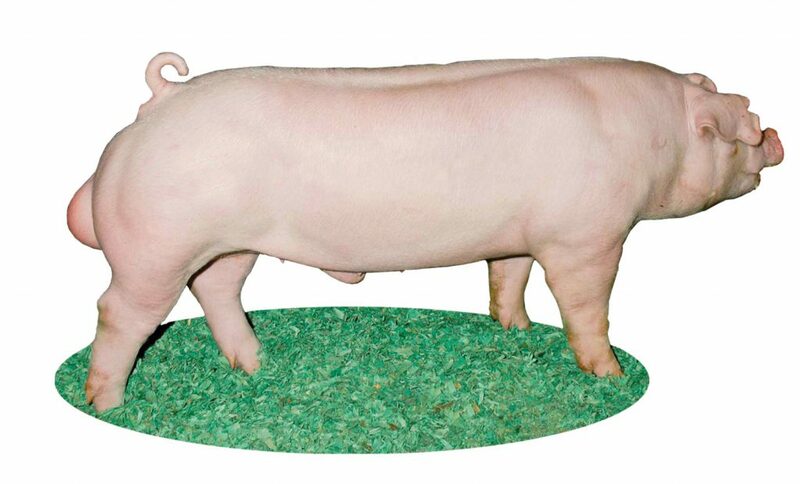 The first U.S. meeting of Berkshire breeders and importers was held in 1875, with the American Berkshire Association formed shortly after – making it the oldest swine registry in the world. Chester Whites originated in Chester County, Pa., from which their name was formed. 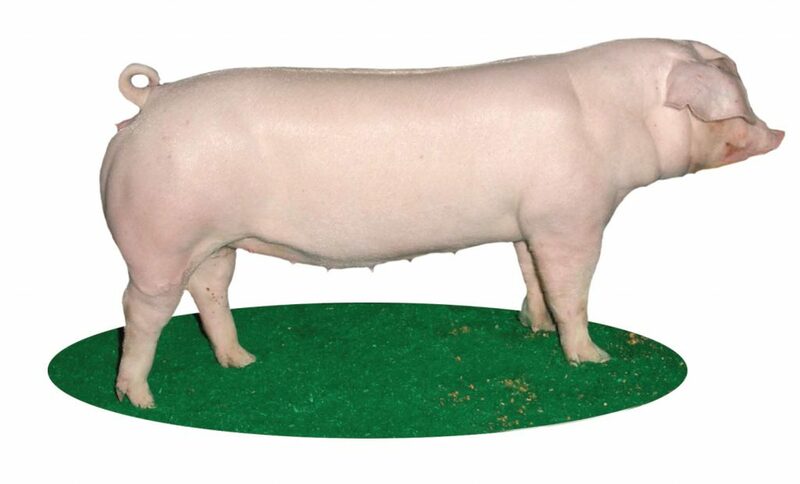 These white hogs with droopy, medium-sized ears are known for their mothering ability, durability and soundness. Packers also tout their muscle quality. 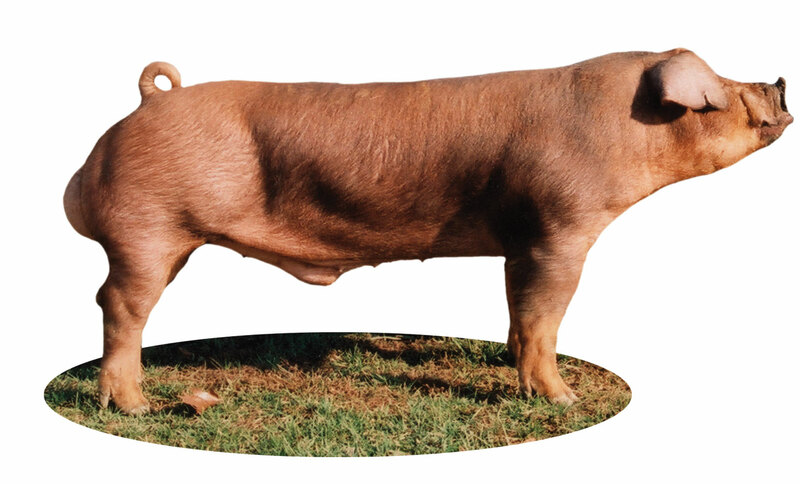 The second-most recorded breed of swine in the United States, the red pigs with the drooping ears are valued for their product quality, carcass yield, fast growth and lean-gain efficiency. They also add value through their prolificacy and longevity in the female line. Much of the U.S. breed improvement has occurred in Ohio, Kentucky, Illinois, Indiana, Iowa and Nebraska. 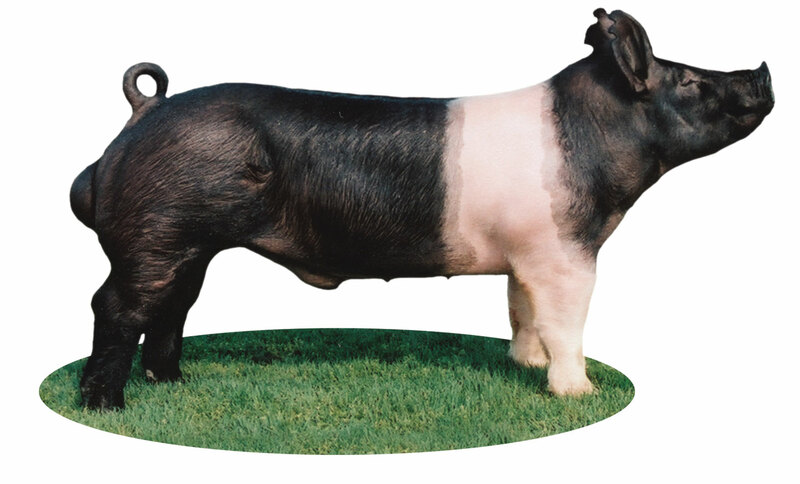 The hogs with “the belt,” Hampshires are the fourth-most recorded breed in the United States. Most popular in the Corn Belt, Hampshires are known for producing lean muscle, high carcass quality, minimal backfat and large loin eyes. Females also are known for their mothering ability, with longevity in the sow herd. 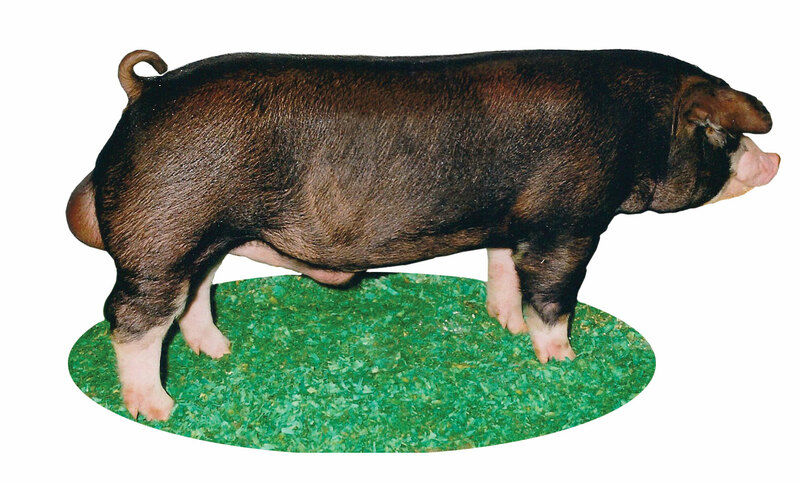 White hogs with droopy ears, Landrace are the fifth-most recorded breed of swine in the United States. 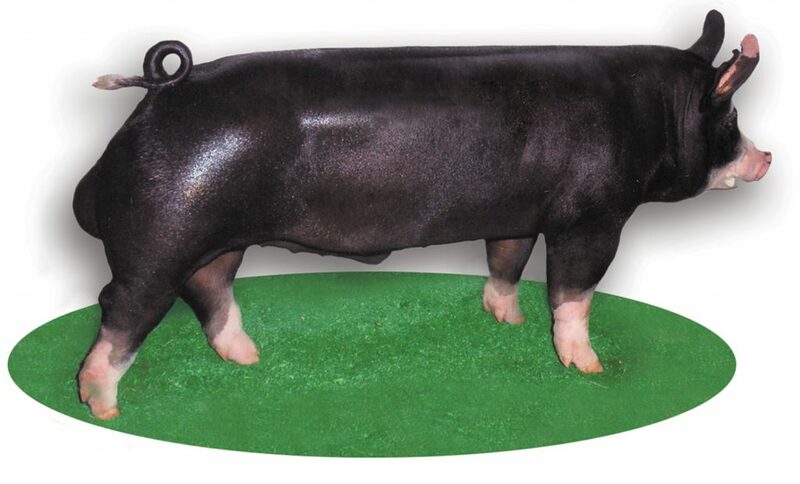 Known as “America’s Sowherd,” Landrace females are heavy milkers and often farrow large pigs. 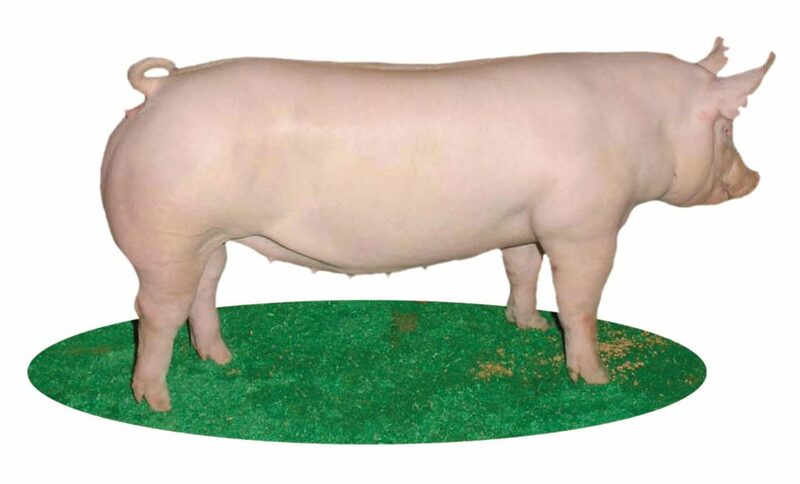 Crossing well with other breeds, Landrace often possess length of body, a high percentage of carcass weight in the ham and loin and the ideal amount of finish. In the early 1800s, Poland China hogs originated in Ohio. Today, Poland China hogs are known for their large frame, length of body, leanness and muscle. They also are excellent feeders, gaining well under good care and management. They also are quiet in their disposition. 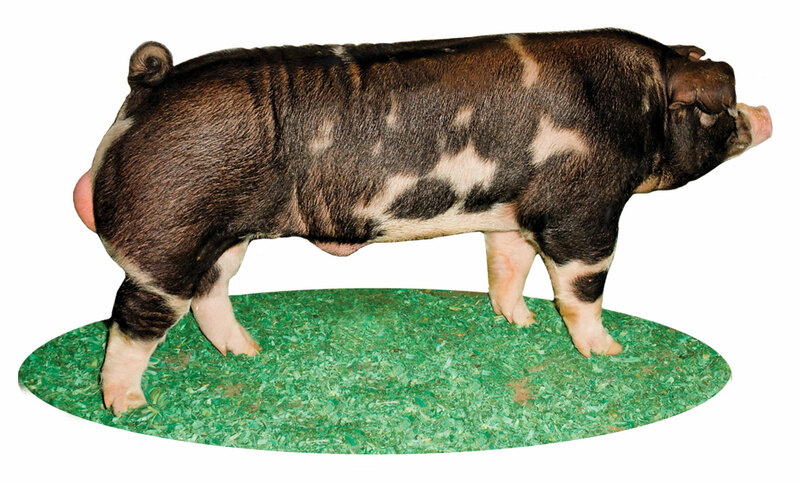 The Spotted swine breed is characterized by large, black-and-white spots. Many breeders in central Indiana specialized in breeding Spotted hogs through the years. Today, Spots are known for their feed efficiency, rate of gain and carcass quality. In addition, commercial producers appreciate Spotted females for their productivity, docility and durability. The most-recorded breed of swine in North America, Yorkshires are white with erect ears. They are found in almost every state, with the highest populations being in Illinois, Indiana, Iowa, Nebraska and Ohio. Yorkshires are known for their muscle, with a high proportion of lean meat and low backfat. Soundness and durability are additional strengths.